As you can see in the screenshot below I was unable to connect Live to my SQL Analysis Server. 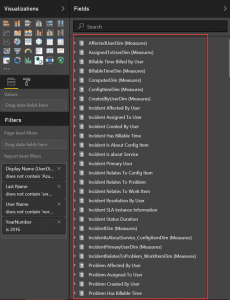 I could only use the import functionality which means I need to select, one-by-one the different tables I want to import and, most importantly, define the relationships. Which is really a tedious job…. 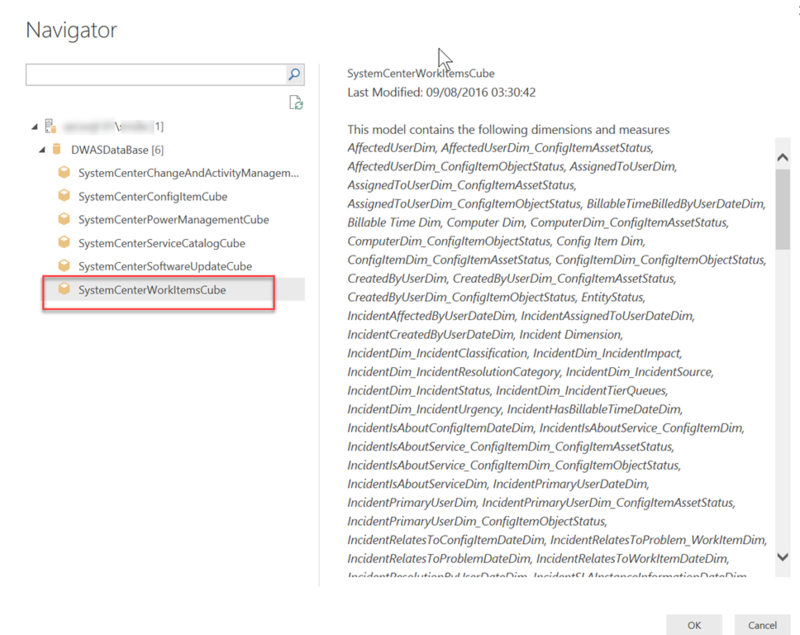 Apparently you can only use the “Connect Live” capability if you are running SQL Enterprise and not if you are using SQL Standard. 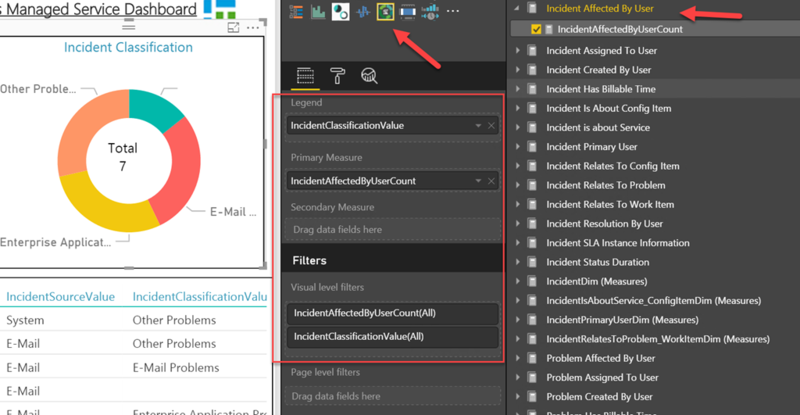 Power BI issues DAX queries against SSAS and this is not supported in Standard (until SQL Server 2016). So if you hit this issue and need “Connect Live” please upgrade your SQL to Enterprise. 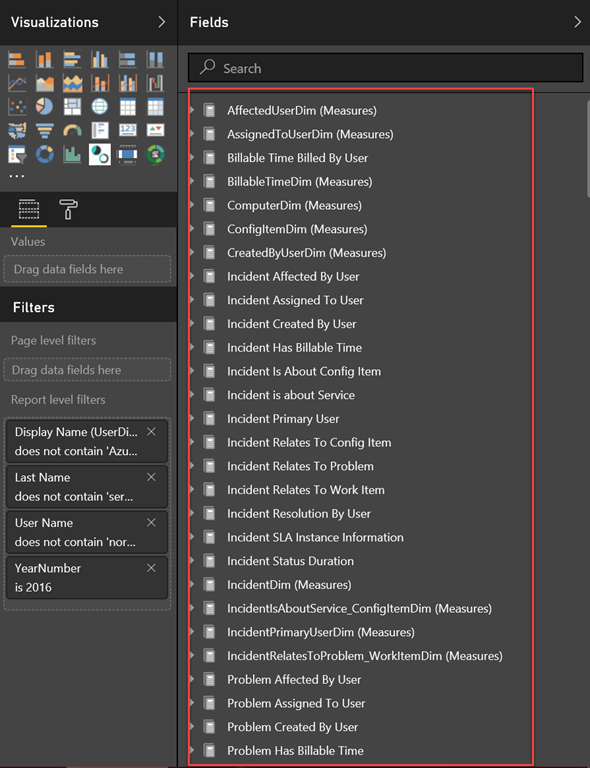 Measure groups in a multidimensional cube are exposed in Power BI as tables with the ∑ sign beside them in the Fields pane. Calculated measures that don’t have an associated measure group are grouped under a special table called Measures in the tabular metadata. Multidimensional models support Parent-child hierarchies, which are presented as a hierarchy in the tabular metadata. Each level of the Parent-child hierarchy is exposed as a hidden column in the tabular metadata. The key attribute of the Parent-child dimension is not exposed in the tabular metadata. Next we want to add a graphic showing us the amount of incidents per classification. 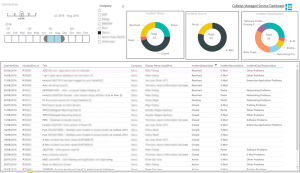 Now that we have created a report we can publish it to Power BI Service. 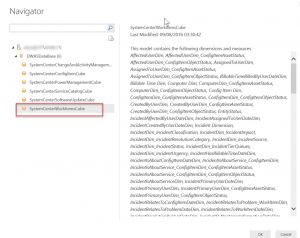 I’d like to remind you again that you need to install and configure “Power BI Enterprise Gateway” on a machine in your network first. 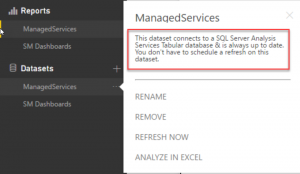 Once published to Power BI online you don’t need to configure a refresh schedule if you are using “Connect Live” to query SSAS. 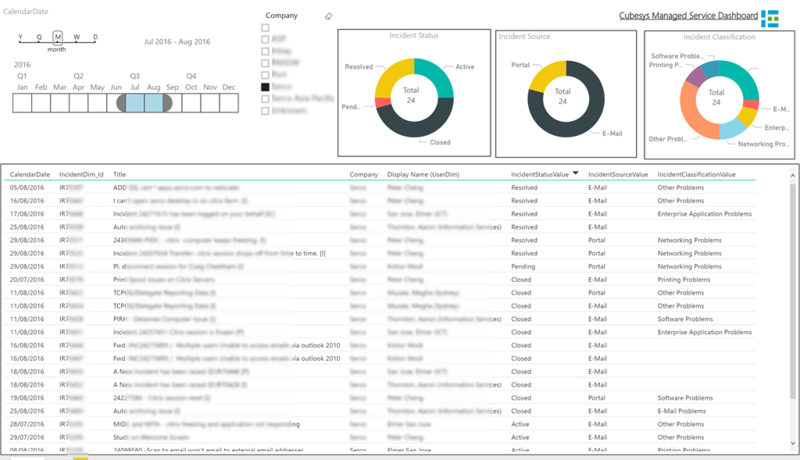 Please keep in mind you need Power BI pro to be able use Live query as described here: https://powerbi.microsoft.com/en-us/documentation/powerbi-refresh-data/ The visualizations in your dashboard will query the on-premise Power BI gateway to connect to the local SSAS. 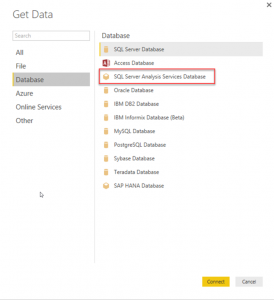 With the On-premises Data Gateway, you can issue queries from Power BI to your on-premises data sources. 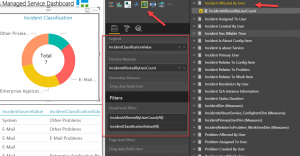 When you interact with a visualization, queries are sent from Power BI directly to the database. Updated data is then returned and visualizations are updated. 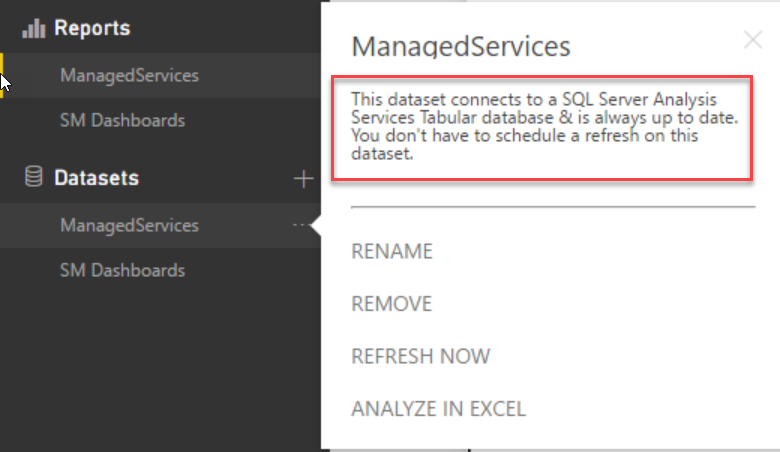 Because there is a direct connection between Power BI and the database, there is no need to schedule refresh.